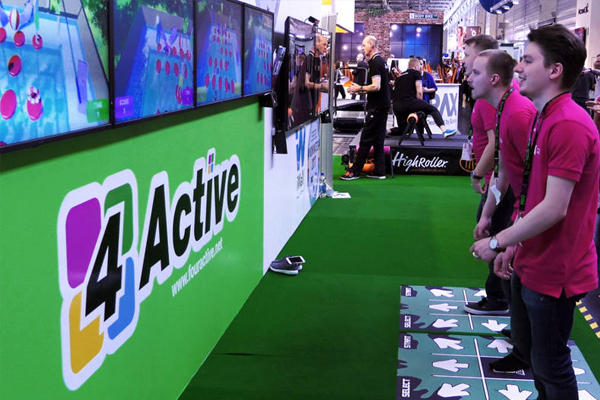 Buy 4Active Exergames at Low Cost. Contact us Today! 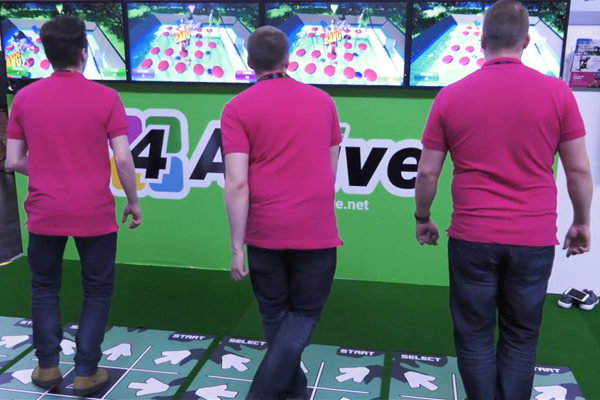 4Active brings a new twist to the classic dance pad interface. 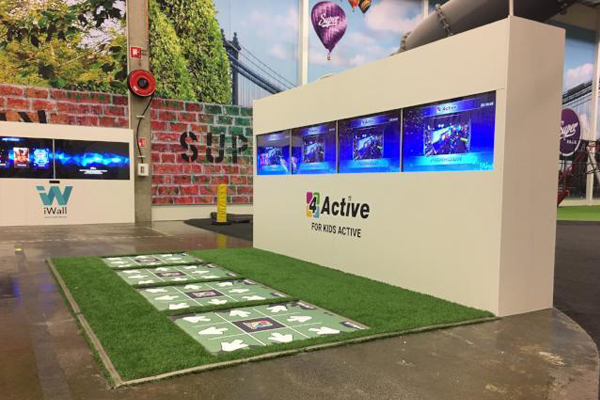 The exergame system is a 1-4 player platform using an ActivePad (a hi-tech step/dance mat style interface) to control the game play. 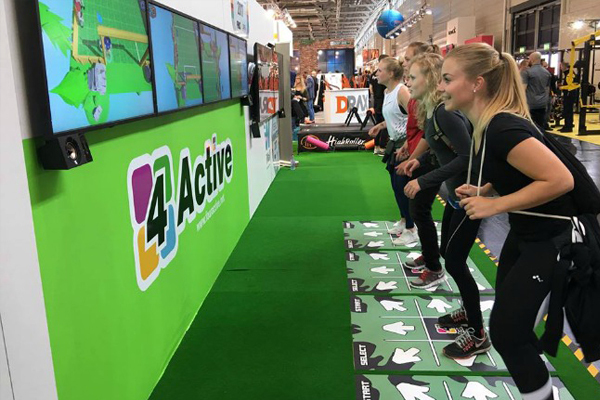 With incredible high-definition (UDH 4K) graphics and fun games for single or mutli-players, the 4Active fitness game system will entertain all ages, from young kids, teens, adults and seniors. Up to four gamers can play simultaneously, practising reaction time, motor skills, balance and more. Players can jump into the game at any time by stepping onto one of the pads. The immersive game selection will give the users hours of fun, friendly play, while being active all the time. 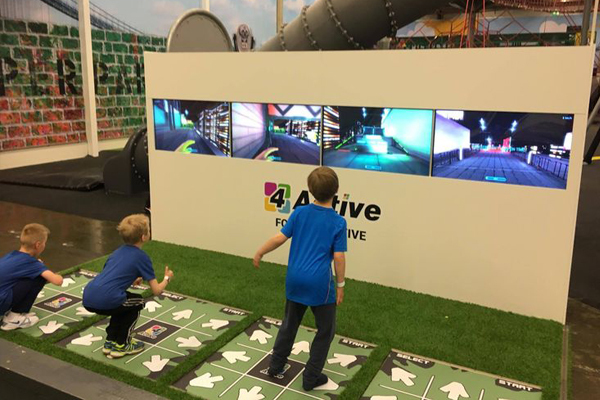 4Active was developed to enhance the cognitive and physical abilities of children, especially, but also of adults. The games are easy to learn and conform to a high technical standard. Four games come pre-installed. Additional games are released on a regular basis and can be purchased separately. Games include: GridSoccer, Pool Party, Parkour. 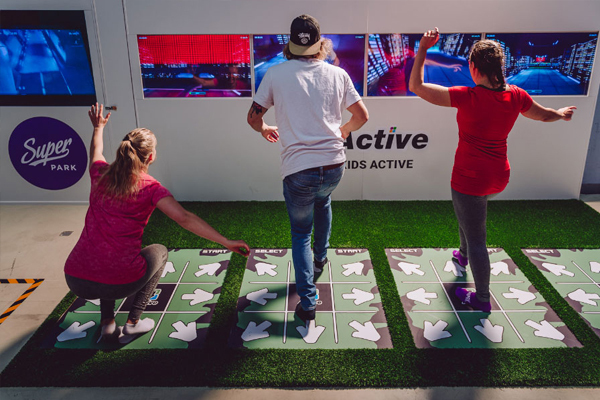 4Active is suitable for the Leisure centers, YMCA's, gyms, hotels, schools, amusement parks, airports, shopping malls, rehabilitation centers, hospitals and more.